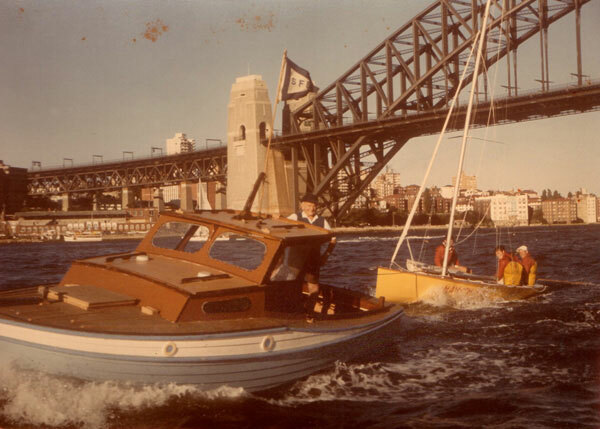 BRIT was built in 1964 in Georgies front yard in Elliot St, Balmain to replace his aging 18’ skiff BRITANNIA which had been racing for some 25 seasons. 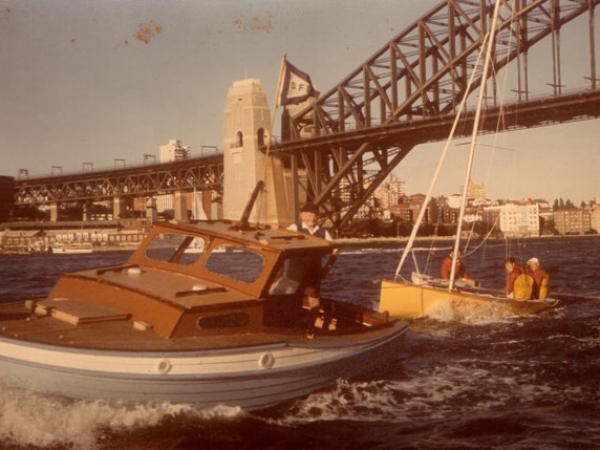 She was “retired” and turned into the starters boat for the Sydney Flying Squadron with the addition of a half deck and cabin. 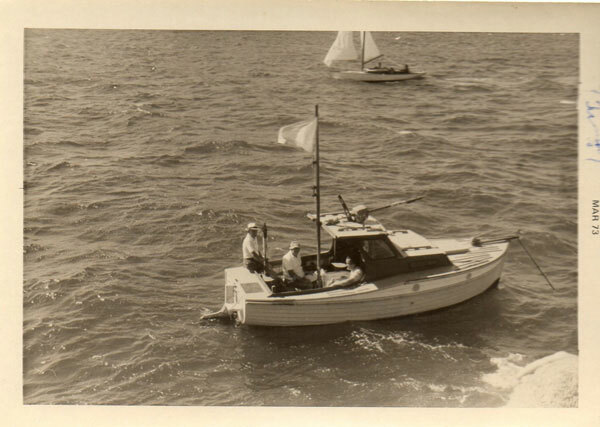 BRITANNIA was used as a starters boat right up until the mid 1960’s when Georgie sold her to his forward hand Bob Lundie. 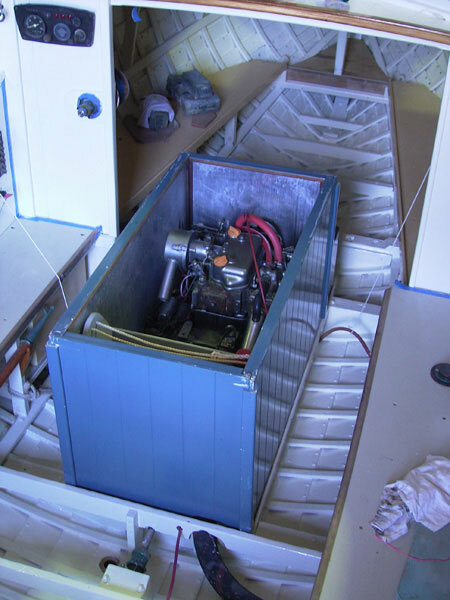 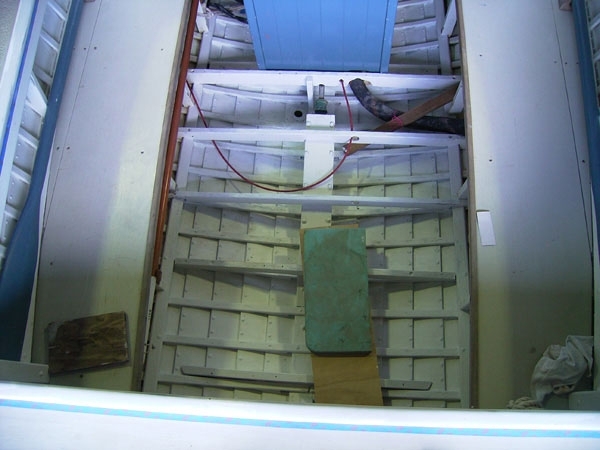 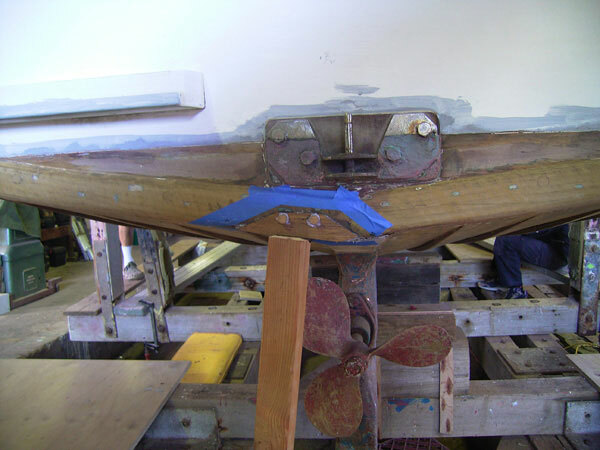 Georgie then built a replacement clinker launch in his front yard – BRIT, which was also used as the start boat for Sydney Flying Squadron. 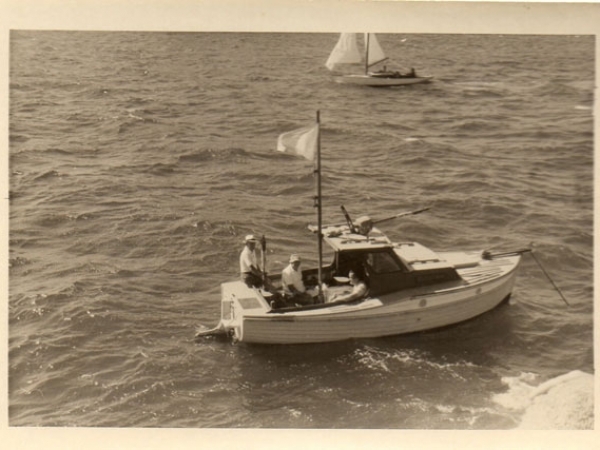 Georgie kept BRIT until the early 1980’s. 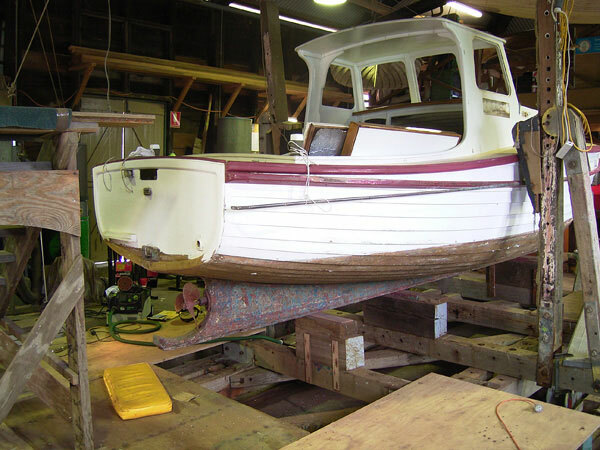 BRIT was planked by Wee Georgie using Queensland Beech, with assistance from his son Ron and grandsons Alan and Barry whilst steaming and fastening her Spotted Gum timbers. 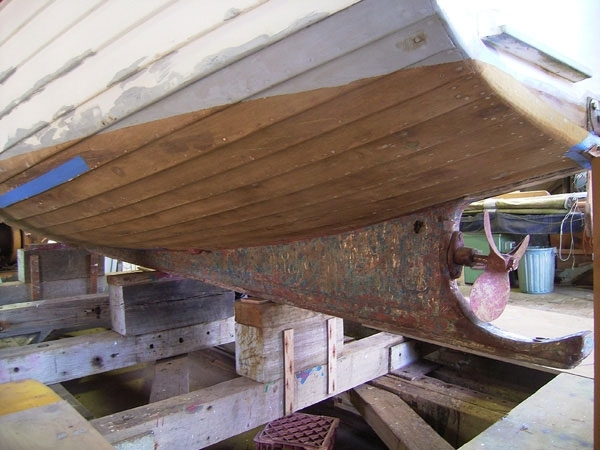 Another Balmain shipwright Rick Wood came across BRIT when he was working on the restoration of the 1919 skiff BRITANNIA with boat conservator Michael Staples at the ANMM in the early 1990’s. 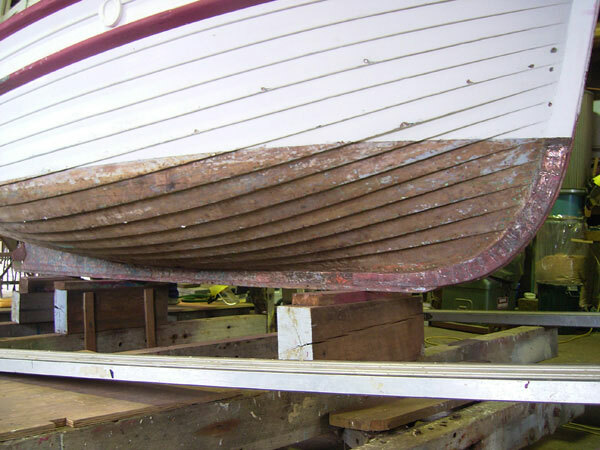 BRIT had sunk at her mooring in Balmoral – but was clearly still a good hull. 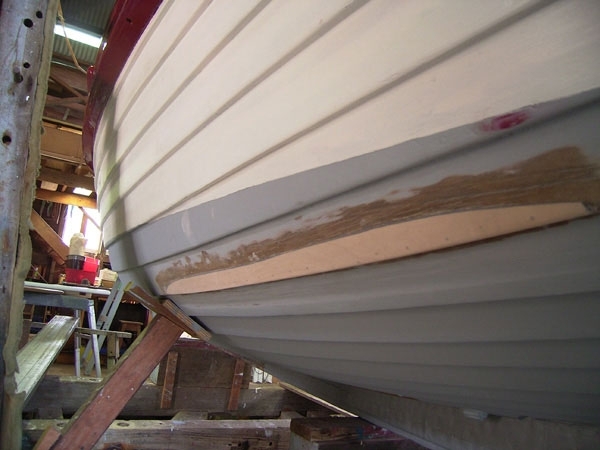 Rick made a beautiful ½ model of the skiff BRITANNIA in exchange for the hull of the BRIT – now complete with scribbly coral on the inside of the hull! 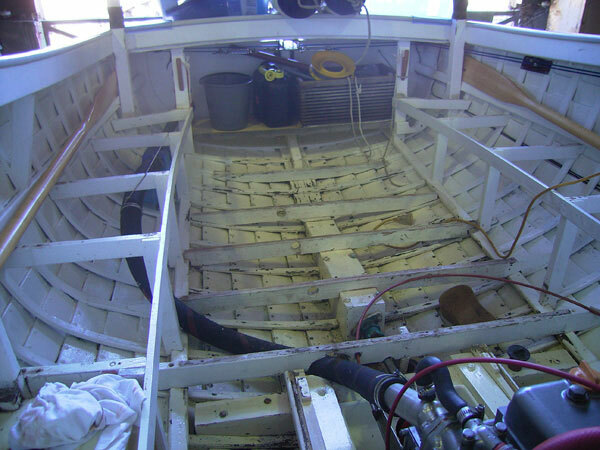 He then spent considerable time rebuilding the BRIT. 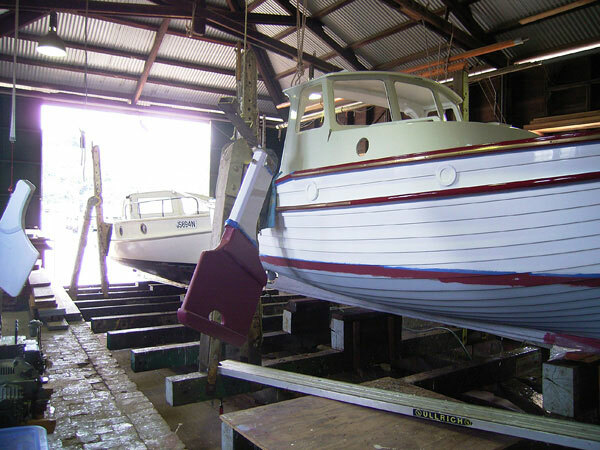 She received a new deck and deckhouse, new engine bearers and a fully reconditioned diesel engine and then spent a happy decade as the workboat for Timber Boat Services which operated out of Snails Bay in Birchgrove. 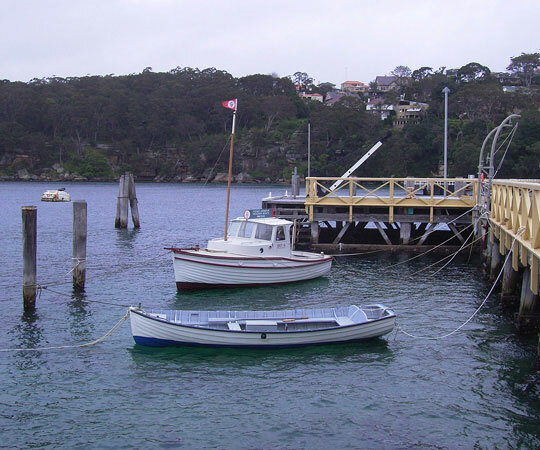 During this time she also caught her fair share of fish – with Rick on the end of the line! 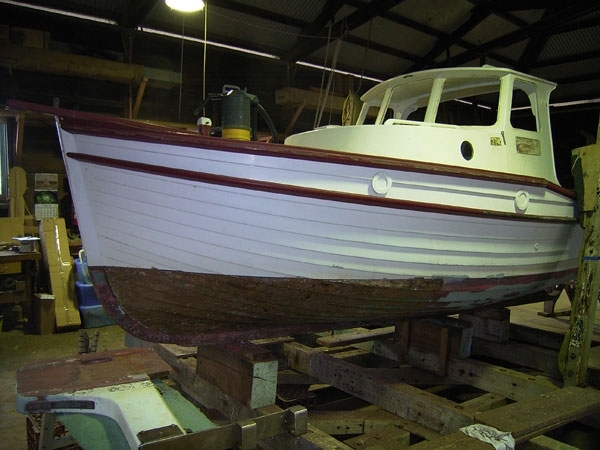 BRIT was sold in the late 1990’s to help finance the restoration of another famous Wee Georgie boat – the 30 footer WAITANGI. 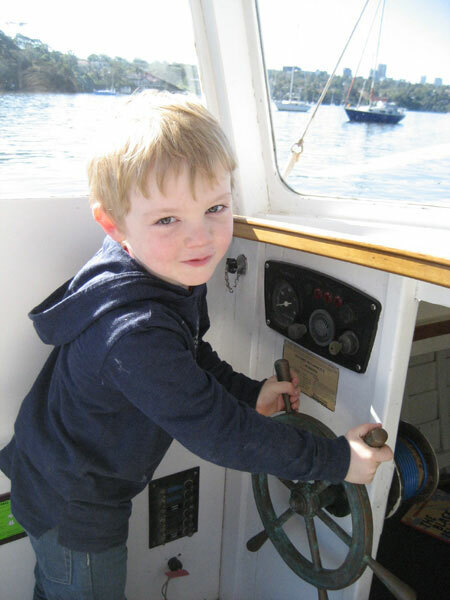 BRIT was next looked after by the Farrand family who used her as the family launch on the Parramatta River. 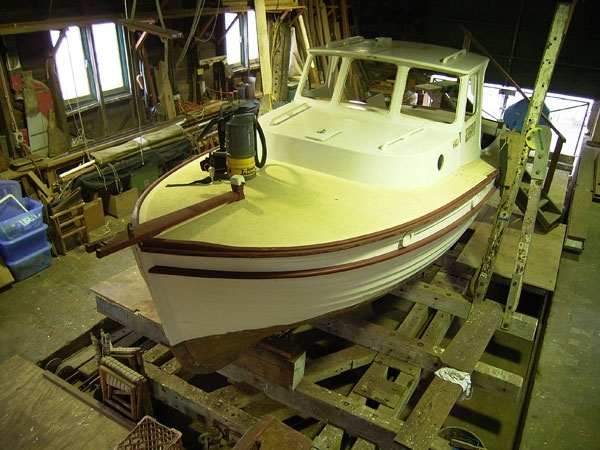 In 2008 Simon Sadubin, who had served his time as an apprentice at Timber Boat Services under Rick Wood and Nigel Shannon purchased BRIT from the Farrand family. 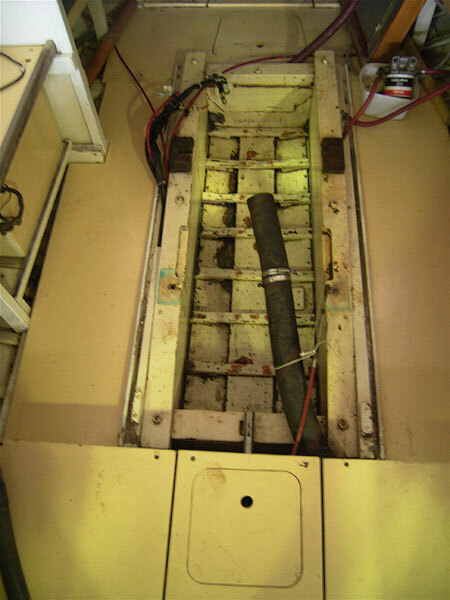 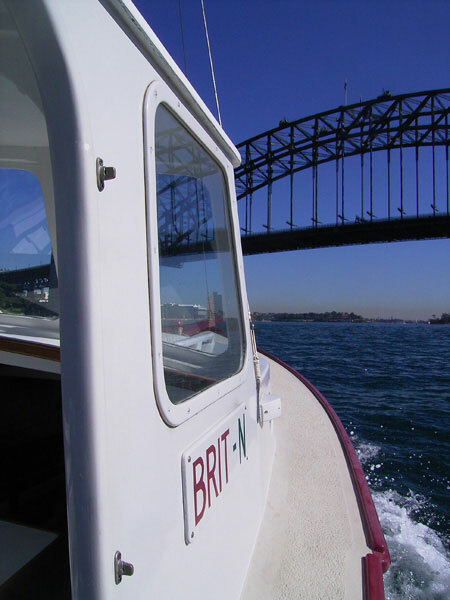 After a full refit, BRIT was once again being used as a workboat – towing boats, and doing maintenance on the water. 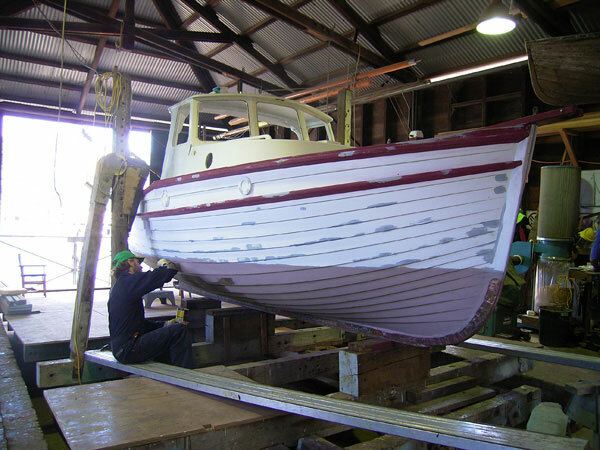 After running Sydney Harbour Wooden Boats for 10 years at Chowder Bay Mosman, Simon teamed up with Avalon shipwright Tom Coventry. 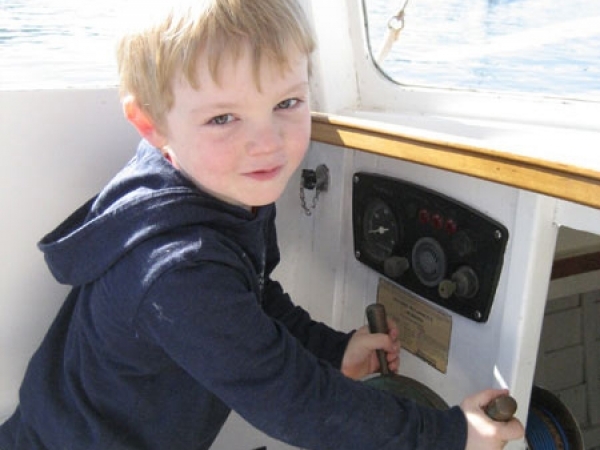  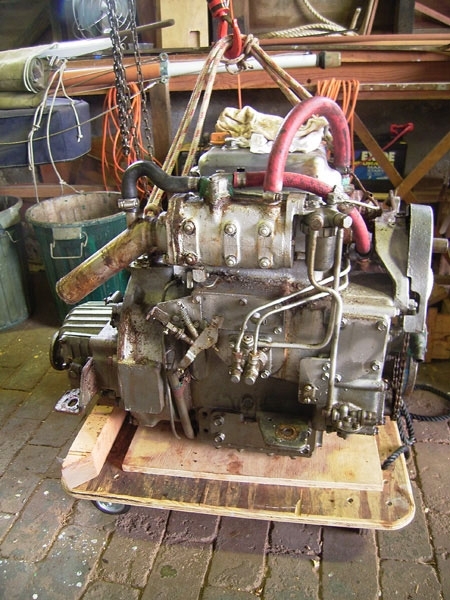 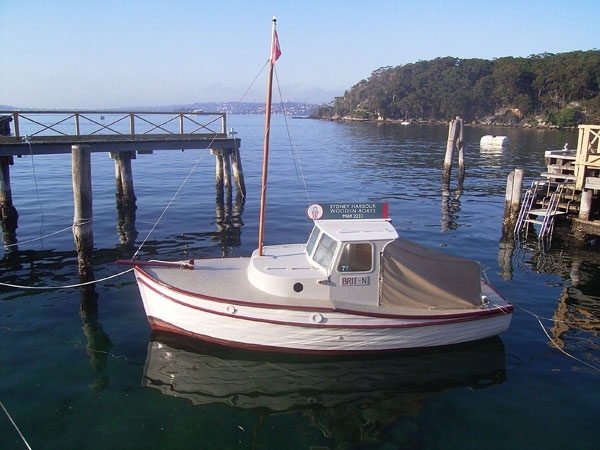 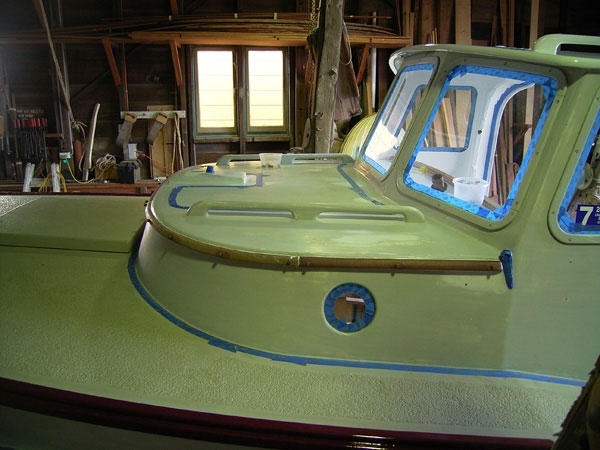 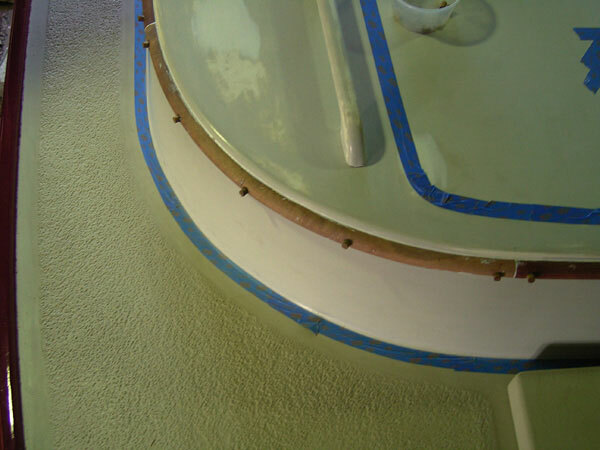 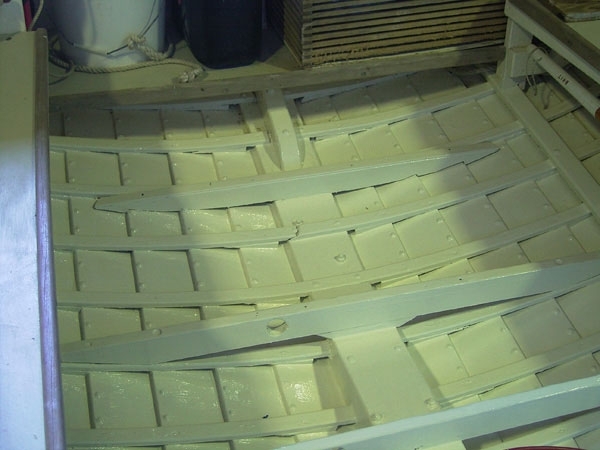 Together they started the firm Sydney Wooden Boats PTY LTD. They relocated the business to 93b Darley Street in Mona Vale and BRIT has moved north to reside in Pittwater. 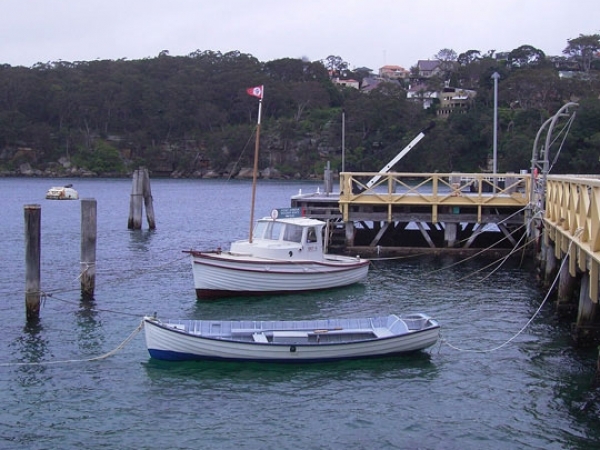 She is now moored off Taylors Point. 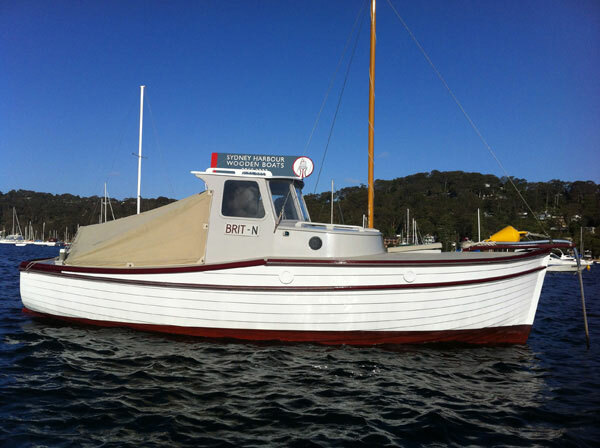 Keep an eye out for us and we look forward to seeing you on the water!